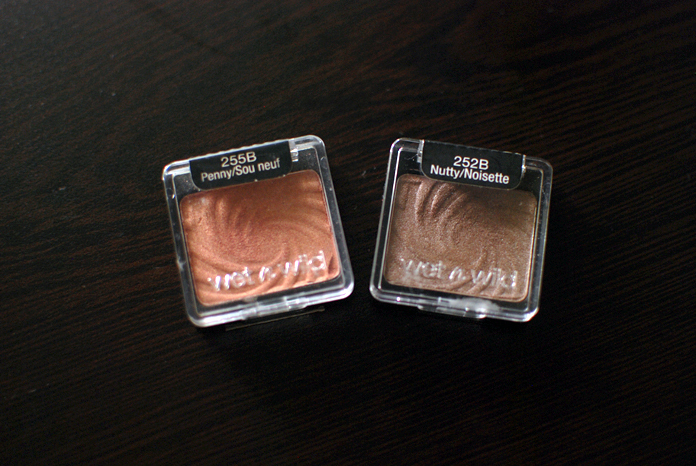 Here are two of my favorite drugstore finds, the Wet n Wild Single Eyeshadows in Nutty and Penny. Notorious for being MAC dupes for Satin Taupe and Expensive Pink respectively, both shadows perform very well on their own, too. Nutty is a somewhat frosty taupe, a beautiful in-between brown and grey shade. 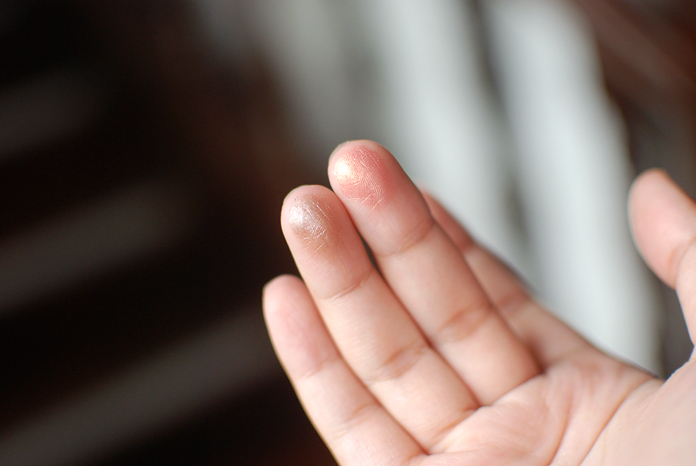 It is quite cool in my eyes, though I have trouble estimating color temperature. Penny is quite a pretty golden-pink shadow. It has a coral pink base and shifts golden, depending on the light. 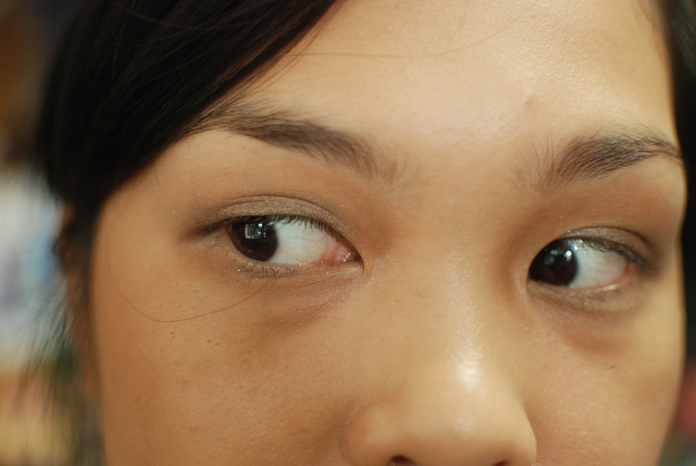 The complexity of both shadows are more evident in a 3D setting; in other words, on the eye than as a swatch. 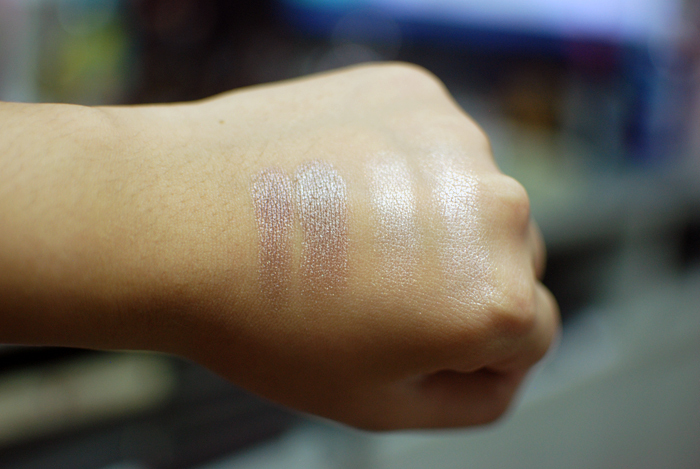 On the left pair of swatches, Satin Taupe sits on the left of Nutty. Penny is a bit more exciting, I think. 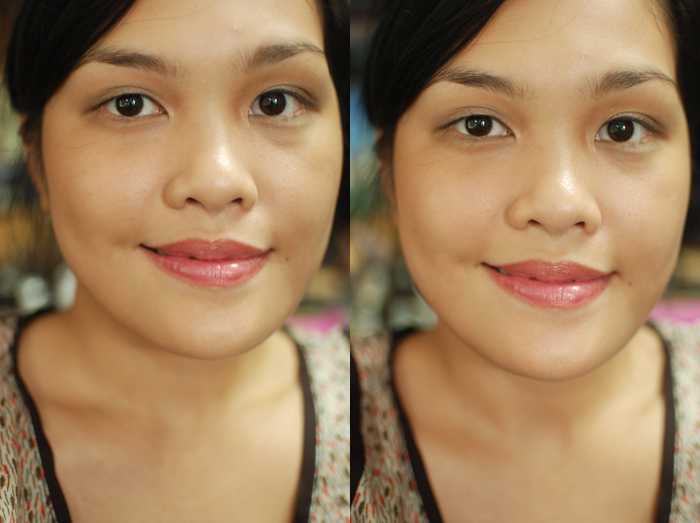 It’s a pretty sort of coral pink shade that has quite an obvious golden shift on the eyes. It’s a bit coppery in the pan, and it’s so hilarious to me that it’s a dupe of a shadow called Expensive Pink, when it resembles a penny, the coin with the lowest monetary value in the US. 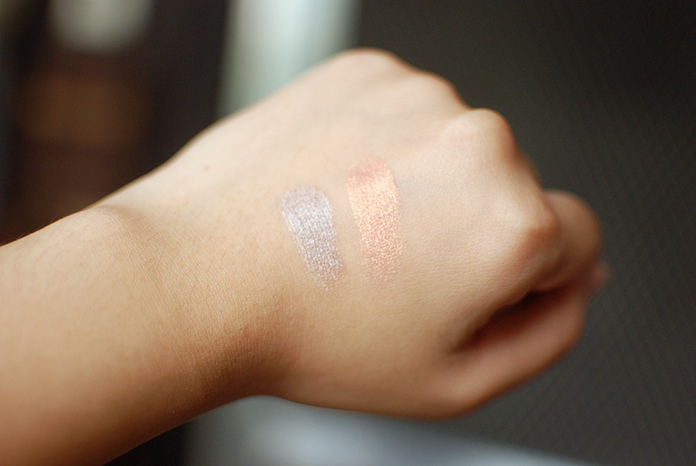 It reminds me a lot of the MAC Paint Pot in Rubenesque but the rose-gold shift is more pronounced in Penny. Anyway, these are great eyeshadows whether or not you’re on a budget. As you can see, they’re great on their own but they play well with others, too. Wet n Wild makes some of the best eyeshadows, especially from the drugstore, and it’s awesome that they are cruelty-free. Uy Penny is really pretty! The color looks like it’s sitting between orange and brown. These both look lovely! I’ve never seen individual wet n wild shadows sold here, I hope I can find them somewhere! They’re probably not that hard to find. 🙂 They’re just a bit tiny!